Local police say that a man suspected of driving under the influence of drugs or alcohol was responsible for a devastating hit-and-run crash that killed two people at the scene of the annual South by Southwest (SXSW) festival in Austin, Texas. The city of Austin was hosting the annual SXSW music, film and interactive conference that tens of thousands of people attend each year. Just a few blocks away from the festival, a Toyota sedan driven by 21-year-old Rashad Owens drove away from a drunken driving patrol that had reportedly tried to pull the vehicle over. The car continued on toward the festivals blocked off streets, weaving between parked cars and then speeding down a one way street the wrong way. The vehicle then drove through the police barriers that were set up near a street with many clubs, coincidentally at the same time one of the clubs were closing and people were exiting onto that very street. An officer jumped out of the way of the speeding vehicle headed his way. "We will review our procedures always, we always look at that. But understand something, when somebody acts intentionally, it's very difficult to stop. You have a car here. You have a police officer that was forced to jump out of the way," said Officer Acevedo. Needless to say, numerous bystanders and conference attendees were in shock after witnessing the horrifying car accident. "I was thrown up in the sky," Scott Jakota stated, a musician from Indiana who was in town to play at SXSW told officers he was the first person to be pummeled by the car. A woman at an apartment overlooking the street was on the balcony at the time this was occurring and told the local newspaper, “About 10 bodies went flying.” She also reported that the vehicle charging the crowd was driving at full speed after he broke through the barricade. After slamming into the crowd outside of the night club the driver struck and killed a man on his bicycle and a woman on her moped, but the man continued driving. After killing two people and injuring 23, the vehicle finally crashed and the driver attempted to flee the scene, leaving his car behind. Police were able to use a stun gun to subdue the man and eventually took him into custody. 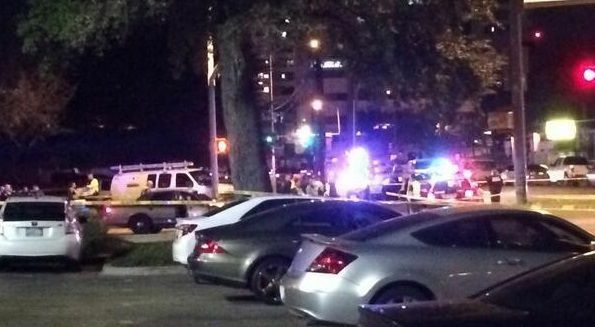 The two victims that passed away were a woman from Austin, TX and the man was from the Netherlands. Neither the driver nor victims’ names are being released at this time. The driver will face two counts of capital murder and 23 counts of aggravated assault with a vehicle for his role in the drunk driving crash. A crime scene unit is still investigating the crime scene. "We do these events very well, but you cannot stop a person who rather than face drunk driving charges decides to speed at a high rate of speed, go around a uniformed officer forcing him to run out of the way, then at a high rate of speed show total disregard for the sanctity of human life," Officer Acevedo stated.